FORT MEADE, Md. -- For three years Bradley Manning and Julian Assange were accused of murder. Members of Congress and the administration said their WikiLeaks document dump endangered U.S. interests -- and lives. "Mr. Assange can say whatever he likes about the greater good he thinks he and his source are doing, but the truth is they might already have on their hands the blood of some young soldier or that of an Afghan family," Adm. Mike Mullen, then the chairman of the Joint Chiefs of Staff, said in July 2010. Before a press corps hollowed out to a skeleton crew after Manning's verdict, that insinuation is falling apart. Top government officials testifying in open court for Manning's sentencing in recent days have cited no credible evidence his leaks led directly to any deaths. They have instead spoken to diplomatic sources placed at risk and strayed foreign relations. In the words of one official, some allies got "chesty." The State Department's current, official take on the cables' release may come Monday, as Undersecretary of State Patrick Kennedy testifies in court for a full day on damage caused by the cables. Or Kennedy may once again be forced into closed session to talk about any specifics in yet another example of the secrecy that has shrouded the trial, even in its sentencing phase. During the first phase of the trial, the judge overseeing Manning's case prevented the defendant from presenting any evidence against claims that his releases caused any harm. So those revelations, endlessly fought over in the press since WikiLeaks' releases, have all taken place during the sentencing phase of Manning's court martial. They may shave years off his maximum 132.5-year punishment. For Assange supporters, meanwhile, the trial testimony comes as long-awaited vindication for the much-vilified WikiLeaks founder. "I did not expect anyone was killed otherwise I am sure it would have come out already. What we saw early on regarding Manning, Julian Assange and Wikileaks were efforts to poison the atmosphere against them by claiming they had blood on their hands," said Michael Ratner, Assange's U.S. lawyer. "Our government lies." The disclosures have come out as glimpses of sunlight in the secrecy shadowing the trial. Though Manning's leaks are freely available online, the government still treats most of them as classified. It's an absurd situation that has led to Manning's prosecutors referring to clearly legitimate State Department cables as "purported" State Department cables. Perhaps more consequentially, it means a significant portion of the testimony about the harm caused by the cables' release is taking place in closed, classified session. Nevertheless, the most explosive claim about Manning's leaks -- that battlefield reports from Iraq and Afghanistan got U.S. sources killed -- seems to have been settled. The prosecution's first witness was Brig. Gen. Robert Carr, who led the Department of Defense's review of the WikiLeaks releases. Carr's order to lead the Information Review Task Force came straight from then-Secretary of Defense Robert Gates. Carr and a team of 300 worked for over a year. "We had to understand this data ... give them some reassurance that they didn't have to sit on the top in the middle of a hill in Afghanistan and go through 77,000 documents to find their vulnerabilities," Carr said. "That was our job." Not a single death could be linked to names in the WikiLeaks files, Carr testified. After more than a year of searching, the task force found a single instance where the Taliban claimed to have killed an Afghan source because of WikiLeaks. But then they discovered the cables did not actually contain the source's name. "The name was not there," Carr said. The Taliban's claim was so dodgy that the judge overseeing the case, Col. Denise Lind, said she would disregard it. But Carr did state that, "There are some people out there that quit talking to us as a result of their releases." He also provocatively suggested that the release of Guantanamo detainee assessment briefs in April 2011 slowed down transfers from the prison to foreign countries. "There might have been a delta between what the foreign government was saying and what they had told their people," said Carr, "and that could, in fact, cause conflict between two nations and stop our efforts to move forward on the Guantanamo." 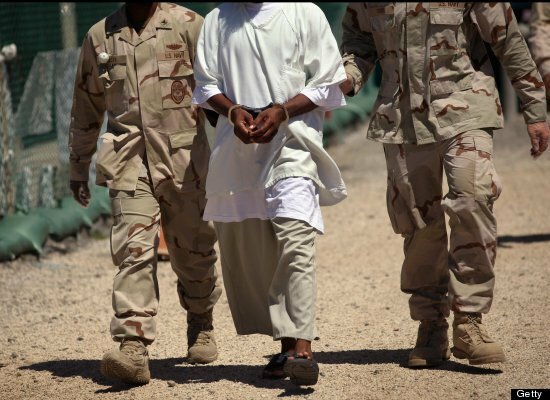 Two lawyers who represent clients at Guantanamo, however, reject Carr's claims out of hand. They note that the assessment briefs' release came right in the middle of the longest period without a transfer in the history of the prison. "I would think it would be difficult for this administration to claim with a straight face that they were making any efforts to close the prison in 2011 or '12," said Shane Kadidal, a lawyer at the Center for Constitutional Rights. "It's faintly ludicrous to blame their failures on WikiLeaks." Clive Stafford Smith, director of the UK legal charity Reprieve, said, "It is idiotic." Carr was followed on the witness stand Wednesday by John Kirchhofer, who as deputy director of the Defense Department's WikiLeaks task force was responsible for its day-to-day operations. Kirchhofer singled out one episode in open court: a briefing he gave to NATO allies in Belgium the week the Iraq War Logs were released in October 2010. There were some "pretty aggressive people getting chesty," Kirchhofer said. "In a closed forum I can tell you what countries if that matters." More tangibly, Michael Kozak, who led the State Department's WikiLeaks Persons at Risk working group, testified about the efforts the department had to take to protect U.S. sources named in the diplomatic cables. If the group thought someone might be in danger of "violence or incarceration or something similarly grave," he said, it sprung into action -- notifying them that their name was in the cables, and asking if they needed American assistance. The most important type of assistance offered, Kozak said, was a ticket out of harm's way or help with immigration status in a new country. Kozak spoke bluntly. But he was not asked, nor did he offer, any testimony about sources who were named in the cables and later killed. Kozak said the greatest damage of the leaks, from his perspective, was their "chilling effect" on human rights activists no longer willing to talk to the U.S. When Kozak was asked how many people the working group had identified as being in danger, he was quickly cut off by a defense objection. He added that he would rather provide an answer in closed, classified session -- which the court then entered. The exchange was one more example of how the court's strict adherence to government secrecy has obscured the presentation of evidence of actual harm caused by the leaks. But Steve Aftergood, an expert on government secrecy at the Federation of American Scientists, said closing court may sometimes be necessary. "It’s possible that publicly highlighting a specific incident of damage -- perhaps some kind of diplomatic dispute arising from the cables -- would reopen the dispute and aggravate it further," Aftergood said. "But if something like that is true, it would be true only with regard to specific incidents," he added. "It should still be possible for the prosecution to publicly characterize the damage it says was done, and to describe the nature and the magnitude of the harm." Outside of the courtroom, there are clues about damage from the cables' release. P.J. Crowley, the former State Department spokesman who helped respond to the WikiLeaks dump that became known as "Cablegate," told HuffPost before the trial started that fears the disclosures would throw sand in the gears of U.S. diplomacy had not been realized. This was in part, Crowley said, because of extensive outreach and mitigation efforts of the sort Kozak described in court Friday. But on the individual level, Crowley said, "The reality is that people have been put in danger -- people have been incarcerated. There are people who have been cited in these cables who have been killed." "Now, I'm very cautious," he added. "Was somebody killed because they were listed in a WikiLeaks cable? I can't say that." If the sentencing testimony from State Undersecretary Kennedy remains hidden Monday in a secure courtroom at Fort Meade, the closest we may come to the facts is an anonymous congressional aide's January 2011 analysis to Reuters. The aide's summation of internal government reviews of the WikiLeaks releases at both the State and Defense departments came just months after Kennedy first briefed Congress on harm from WikiLeaks. It's an appraisal that has been widely known for years, yet it has not stopped critics from repeating the charge that Assange and Manning have blood on their hands. As the anonymous aide related to Reuters in 2011: "We were told (the impact of WikiLeaks revelations) was embarrassing but not damaging."